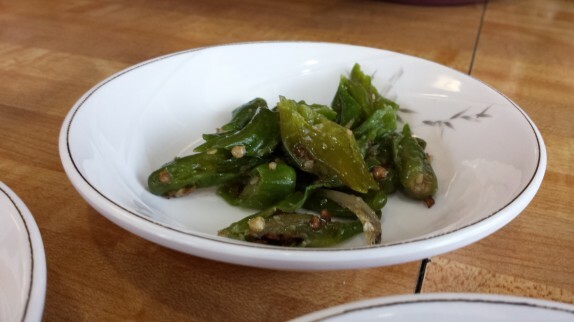 Every since my multiple dining experiences at Mingle, I’ve become a fan of many Korean ingredients. 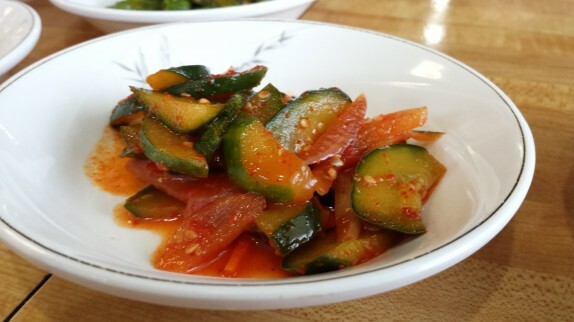 Gochujang is a pantry staple for me, and I have to say I’m pretty addicted to the stuff. 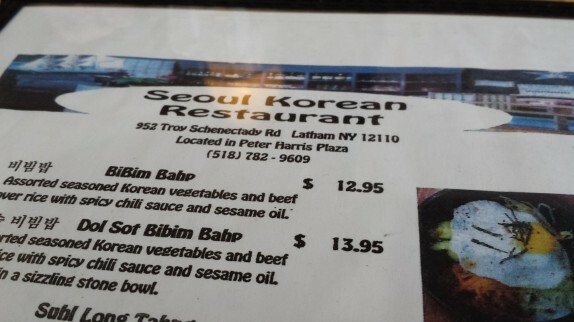 I’ve wanted to try a more focused Korean restaurant for a while, and my friend Rory has been suggesting that I check out Seoul Korean in Latham (in the Peter Harris Plaza) for a while. I dragged him along with me when I went. We went for lunch on a Saturday; there were only a handful of other diners, so there was plenty of room to spread out. After we ordered, the lady who runs the place loaded our table up with different styles of kimchi (Korean pickled and/or fermented vegetables), all complimentary with our meals. We were filling up on kimchi! I ordered some pan fried pork dumplings to share. 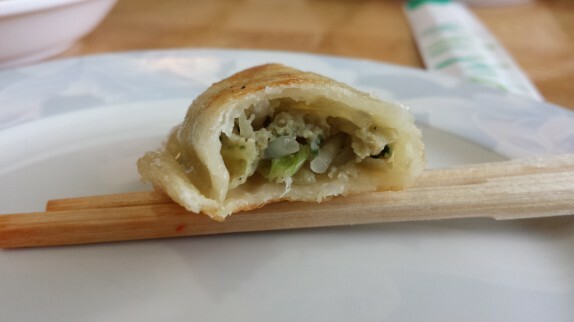 These are very similar to the Chinese or Japanese style dumplings. The wrapper was a bit more delicate than others I’ve had around. 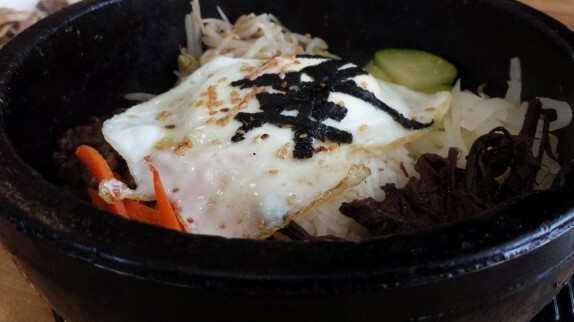 As my main dish, I tried the dol sot bibim bap, a hot stone bowl of rice served with beef, vegetables, and an egg on top. It was so hot, if fogged my lens! 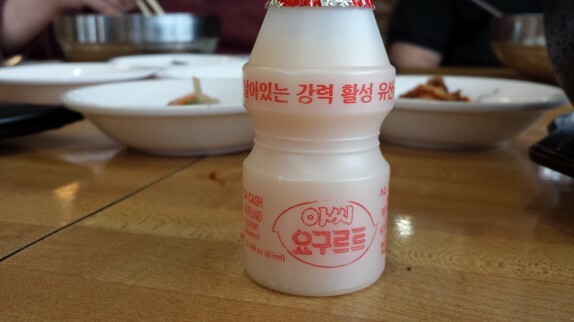 Our server brought me a bottle of gochujang disguised as a ketchup bottle. Realizing how crazy I am for the stuff, she pleaded with me to not add a lot, as it would over salt the dish. 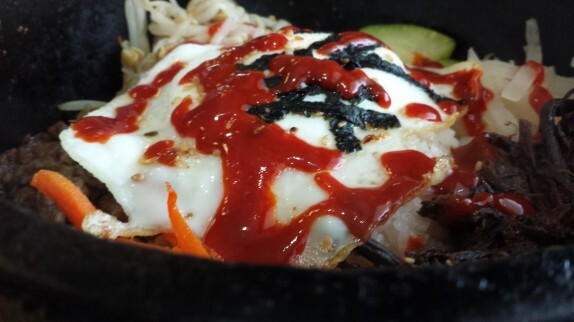 That didn’t stop me from loading up on the gochujang, though. Everything was there for this dish to be enjoyable, but it fell short in a few areas. The egg was completely cooked through, so there was no runny yolk to cook on the side of the stone bowl as it oozed. 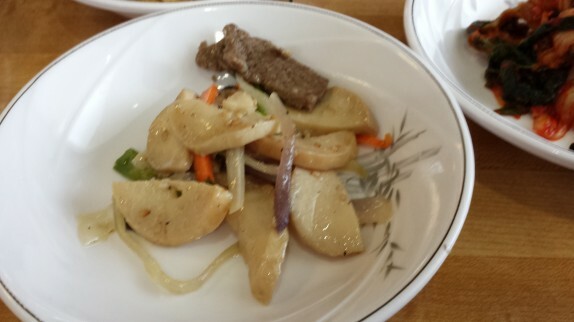 The beef was seasoned well, but chopped very fine and overcooked. There was a good amount of rice, and the bottom layer hardened onto the bowl, making some nice crispy bits, but there weren’t enough vegetables on top. Aside from the presentation, I didn’t feel that it was worth the $14 price tag, even with all of the complimentary kimchi. It was good, just not great. Some sweet little complimentary yogurt drinks were delivered with the check. Other diners were dedicating lots of time and effort to their hot pots, which looks like a much better value. Thoroughly mediocre, in my opinion. 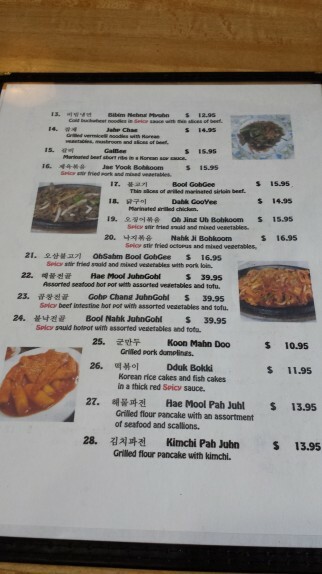 I thought they were definitely too stingy with the beef in the bulgogi, and that doesn’t seem to have changed. 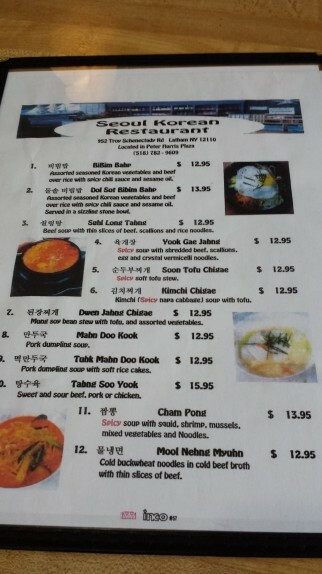 On my second visit I got the dukbokki. Pretty disappointing! Just a lack of depth of flavor, and very little going on other than the rice cakes. 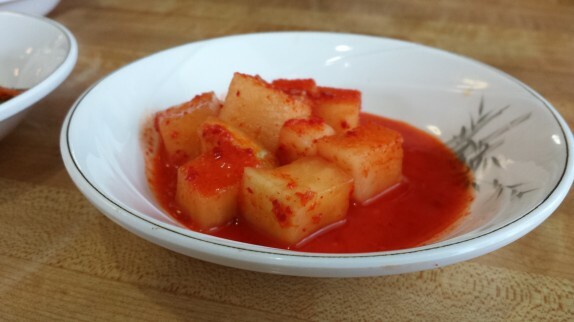 And this comes from another true sucker for gochujang. That’s because bimbimbap, bulgogi and dukbokki are basic street food/fast food in Korea. They have a little shop on every corner in the country that sells all of the above for a 1/4 of the price, and food stalls selling dukbokki covered in gochujang on paper plates with toothpicks for 1/10 of the price. This isn’t fine dining over there. 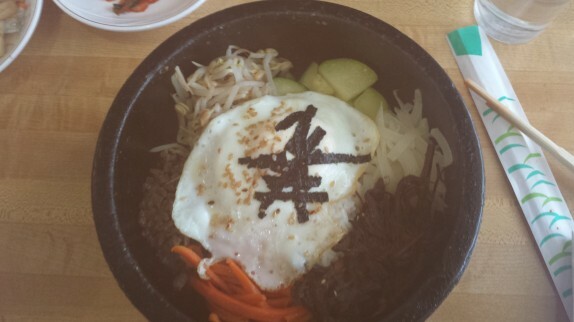 Somehow these dishes become synonymous with Korean food over here and thus we hold them to a higher standard. 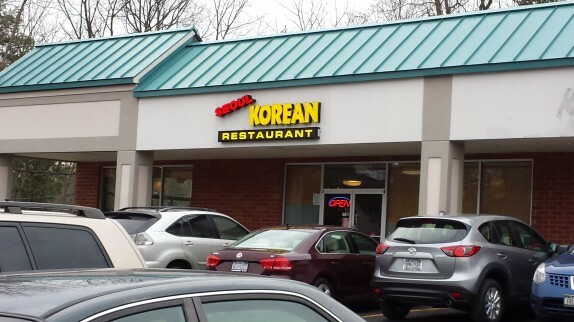 Seoul Korean restaurant is authentic with regards to the above items, but authentic in terms of the mediocre Korean fast food. 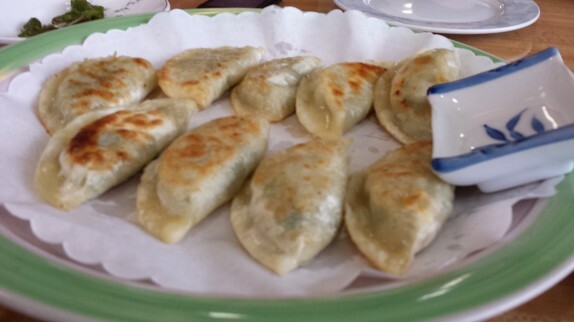 At least at Seoul Korean restaurant, everything seems to be homemade (even the Mandu and kimchi!) – I think the panchon and pajeon are the restaurants highlights. 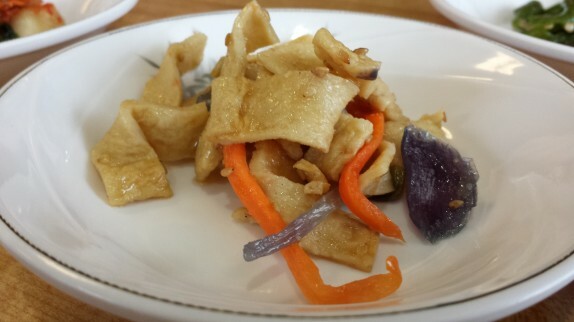 BTW – I don’t think that was Tofu Kimchi – looks more like Odeng (boiled strips of fishcake) – which is also a popular street stall item. 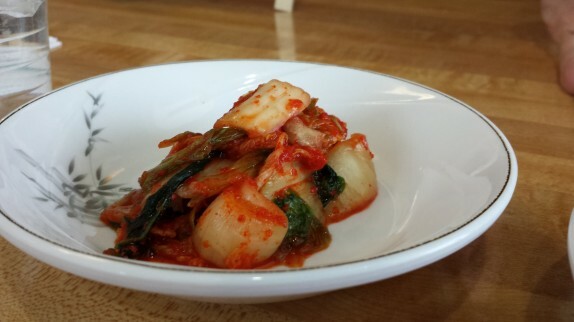 When we asked what it was, our server said that kimchi was tofu.